Its beers, waffles and frites are world renowned, whilst flea markets, summer festivals and a slew of new museums provide visitors with plenty of things to do in the capital. 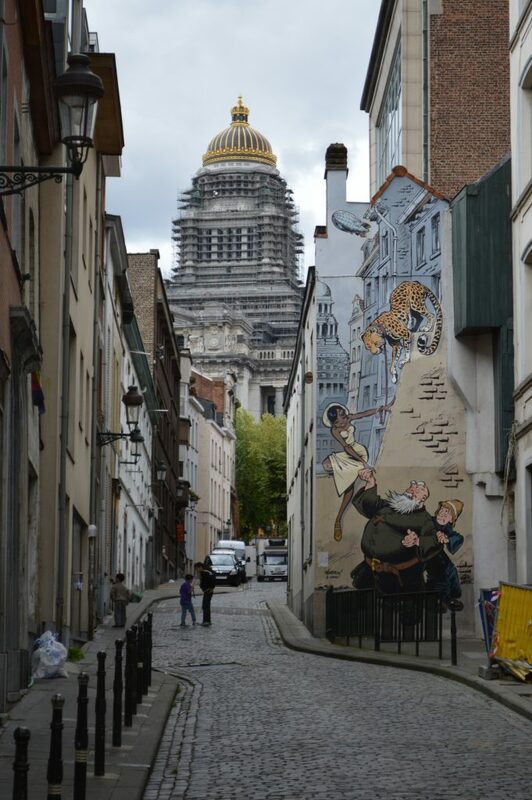 Laurent Vermeesch shares his tips for a Brussels city break. Hellhole? Boring bureaucrat town? Forget whatever you heard about Brussels. Visit with an open mind and you’ll be pleasantly surprised. Especially if you like to spoil yourself, as the Belgian capital is home to the world’s best beers, fries, chocolate and waffles. Culturally the city also has a lot to offer, to the point that Brussels has even been dubbed “the new Berlin” in recent years. Comics are a big thing – this is the home of Tintin and the Smurfs – but so are the visual and performing arts. The city has a burgeoning artist community, murals and street art galore, scores of galleries and a handful of new museums. All this without the queues and crowds you would expect during a weekend break in London, Paris or Rome. The cultural dynamic is fuelled by the city’s incredible diversity. With a little over 1 million inhabitants, but more than 180 nationalities, it’s a world city on a human scale. The cityscape is pretty varied too. There’s not much left of the medieval core, but around it is an interesting mix of architecture from the last 200 years, with art nouveau and eclectic townhouses spicing up the neoclassical urban fabric, and more controversial modern and postmodern buildings. The city didn’t suffer much damage during the world wars, but was indeed partly ravaged by 20th century city planning. Several old neighbourhoods and even landmarks had to make way for office buildings and urban highways. This so-called ‘Brusselisation’ notably put its mark on the EU quarter. And speaking of the EU quarter, those supposedly bland bureaucrats compensate for their boring jobs come the weekend, unleashing a mostly young and cosmopolitan demographic into the local nightlife. Feel free to skip tiny Manneken Pis and the other ‘peeing statues’, but don’t miss La Grand Place, the historic market square surrounded by magnificent guild houses and home of the dazzling Gothic town hall. Some tough choices will have to be made when it comes to museums. The one dedicated to the work of surrealist painter René Magritte is one of the most popular ones. A second Magritte Museum is set in his former home but has hardly any works on display. Architecture buffs shouldn’t miss the Horta Museum, to discover the work of local art nouveau master Victor Horta. A tour along the surviving houses he and his disciples designed is also recommended. There’s also an excellent new railway museum called Train World, and with the House of European History the EU quarter finally has a worthy destination of its own. 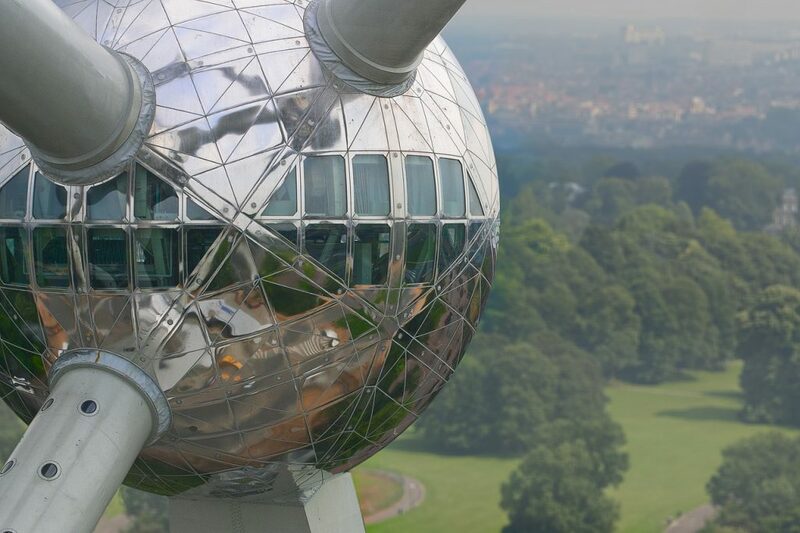 In the north end of the city is the Atomium, a fascinating monument to progress from the 1958 World Fair. It’s a bit out of the way, but easy to get to by metro or tram. The view from the ninth sphere is not that great though because it’s too far from the centre. The best viewpoints are from the Sacred Heart Basilica, a green domed art deco church, on the arch in Parc du Cinquantenaire or from on the square in front of the gigantic Palais de Justice (under renovation for more than 30 years, it’s worth taking a look inside the main hall). 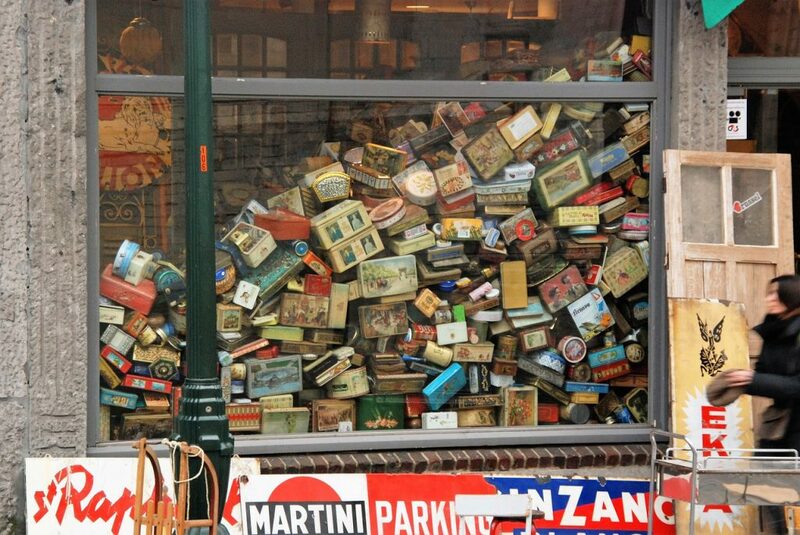 The daily flea market on Place Jeu de Balle is another must. The surrounding Marolles area has so far managed to maintain a good mix of people from different social and cultural backgrounds. Around the market one can find overpriced antiques, but also shops that cater to vinyl and vintage lovers. For more on the main attractions and fun things to do check the tours and activities on Get Your Guide, and consider investing in a City Card if you’re keen to visit more than one or two museums. Generally speaking Brussels is not a particularly fashionable or hip city. People tend to be laid-back and down-to-earth, and showing off is not appreciated. There are exceptions of course. The rue Antoine Dansaert has been a synonym for fashion since the 1990s. Chain stores dominate the street these days, but the new fashion and design platform MAD is trying to renew the vibe. Today’s young creative types are can be found in greater numbers along the nearby canal. Hotspots along the waterway include the up-and-coming area of the former industrial site called Thurn & Taxis, where young locals have initiated a new social and cultural dynamic, and the new Millenium Iconoclast Museum of Art (MIMA). This museum, set in a former brewery, is more of a large gallery showcasing work from renowned street artists. Other happening places are place Flagey, halfway between the centre and the university district, and Saint-Gilles, a neighbourhood with a long artistic tradition. The nearby Wiels Centre for contemporary art, also set in a former brewery, is a must for art-minded people. Underground film aficionados might check the Cinema Nova in the city centre. 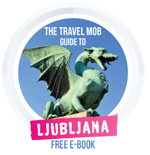 For more zany tips check out One Weird World’s guide to the most unusual places in town. Get in touch with the city’s exotic other side at the Abattoir, probably the last major urban slaughterhouse in Europe. The market here attracts over 100,000 people every weekend. The sidewalks around the site are a gathering place for different communities of the city and a hotspot for the informal economy. 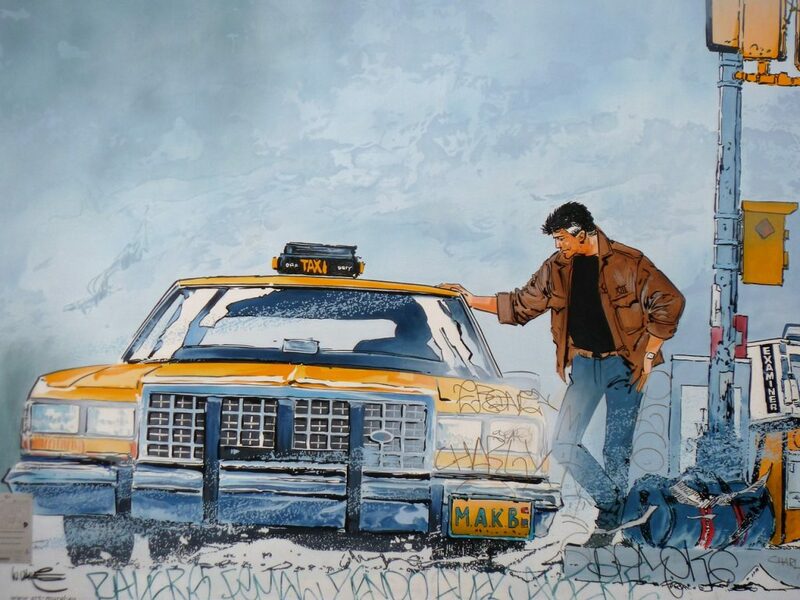 Anything is traded here, from cigarettes to used cars. In the neighbourhood are also several pentecostal churches hiding in old warehouses. Afterwards you might fancy a beer, and luckily you can visit nearby Cantillon brewery and taste their famous local specialty called Geuze. Most festivals and events take place between May and September. Some of the most interesting are Kunstenfestivaldesarts for performing arts; Zinneke Parade, a biannual celebration of the city’s diversity; Art Brussels and its many side events; Bruxelles-les-bains, offering a host of goings-on at an urban beach; the music festival les Nuits Botanique; the Jazz weekend; the Food Truck festival; and the Belgian Beer Weekend… but there are many others. If however it simply won’t stop raining during your stay, ride the tram 51 or 81 around the city. The people and atmosphere change as the trams move from one neighbourhood to another. Finally, if this is your only chance to see some more of Belgium, you might want to consider this day trip to nearby Bruges and Ghent. During the summer it’s possible to put up your tent smack in the heart of the city’s EU quarter at Camping Europe à ciel ouvert. The more obvious and more weather proof budget option would be the Meininger hotel right next to the MIMA along the canal in Molenbeek. If railways are your thing you can lay down in an actual sleeping car at Train Hostel, close to the Train World museum. For a fancier and stylish experience, go to the Hotel des Galeries. Or you can try to get a weekend deal from one of the many comfortable-but-dull business hotels. Buying a bag of fries with mayonnaise from a nondescript friterie is not to be missed. Favourites include Maison Antoine, Frit Flagey or Friterie de la Barrière. When looking for proper dining, watch out for tourist traps around the Grand Place. Better head towards Saint-Catherine. This neighbourhood has several great local restaurants, often with emphasis on seafood, as this used to be the site of a regular fish market. For a tasty and quick standing lunch nothing beats Mer du Nord. For a more classic dining experience try La Marée. If you are looking for more exotic cuisines, for example from Africa or Asia, the district of Ixelles has important clusters of restaurants, notably around Saint-Boniface church and Place du Chatelain. 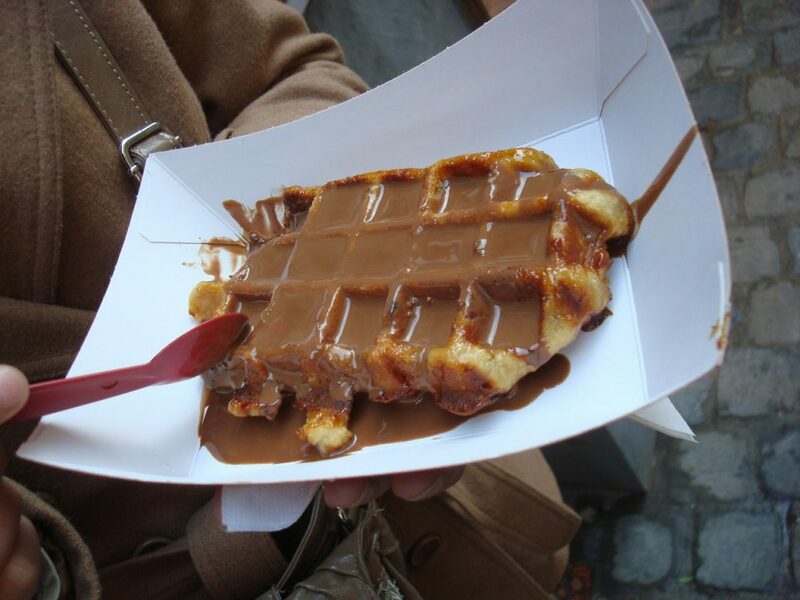 Needless to say you can buy chocolate-smothered waffles on virtually every street corner, but this is in fact considered heresy by true aficionados. If you want to learn how to make (and eat) them properly, best sign up for this workshop. Brussels has many great bars, often with impressive beer menus – try Moeder Lambic if that’s your thing. Others are all about music, with daily concerts and DJ sets, like Bonnefooi. The EU district is often considered a dead zone outside office hours but thanks to the growing number of well-paid bureaucrats several nightlife areas have developed, notably around place Jourdan, place Jean Rey and place de Luxembourg. The last one is the favourite meeting place for afterwork drinks on Thursday nights – ‘pluxing‘ even made it into the Urban dictionary. It’s the place for inter-European affairs, be it personal or professional. The networking there can make or brake a career or a marriage. The city has an amazing concert agenda because it is a convenient stopover for artists touring Europe. The party scene is very diverse but also a bit elusive. Concepts and locations are often changing, so check out flyers, posters and social media when in town. The blog I’m not on the guest list is a good starting point. If you’re into techno you can’t go wrong with Fuse on a Saturday night. 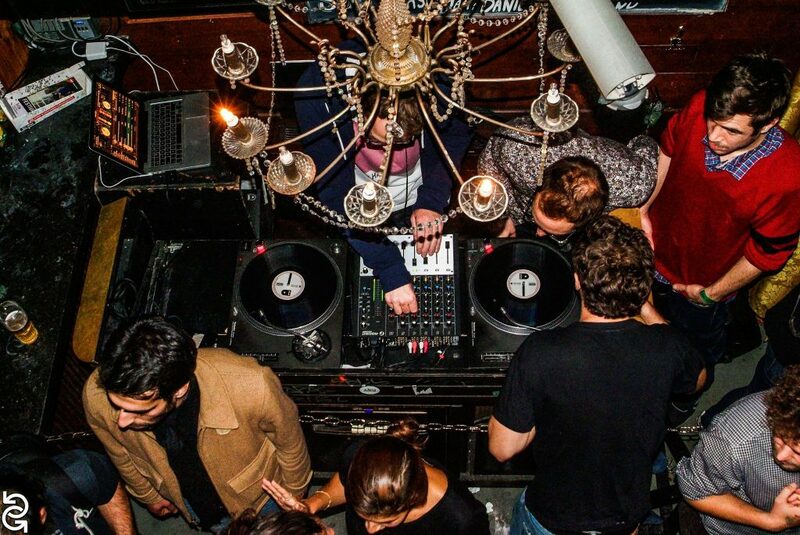 For most other genres Madame Moustache has daily events, tons of atmosphere and a casual vibe. There’s no lack of direct flights from all over Europe and beyond, although many budget carriers call at Charleroi Airport (dubbed ‘Brussels South’) which is one hour away by bus. Train is the most comfortable option from neighbouring countries thanks to fast and frequent connections with the likes of Amsterdam, London, Paris and Frankfurt, but the bus will often be a lot cheaper when travelling short notice. Note that Brussels doesn’t have a proper bus station though, so prepare to be dropped off somewhere on the street. When in town, pick up a free copy of BRUZZ, a trilingual weekly with a comprehensive cultural agenda and good tips for restaurants and nightlife. BrusselsLife is a website full of listicles and lifestyle-related articles. Use-it makes a great alternative tourist map and has a traveller’s desk in town. The helpful staff have info on (free) tours and what’s on that day. Bruxelles Itinéraires is a great guidebook, combining in depth descriptions with lovely drawings by François Schuiten. It’s not available in English though. Fiction: Charlotte Brontë’s The Professor is set in 19the century Brussels. Jonathan Coe’s recent effort Expo 58 is inspired by the World Fair that took place in the city back in 1958. Teju Cole’s contemporary urban story Open City has an interlude set in the Belgian capital. Brussels By Night is a local cult film, showing the gritty side of the city in the 1980’s. Man Bites Dog (C’est arrivé près de chez vous) is another dark classic. 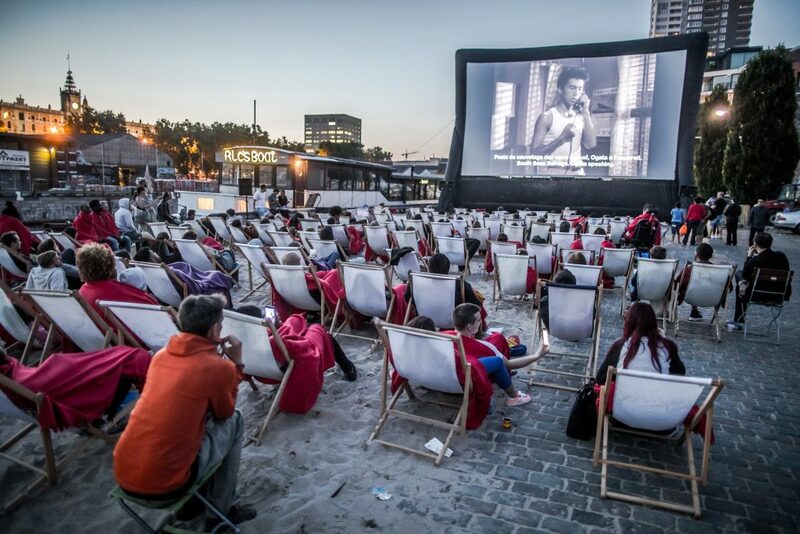 Many films by local cult director Chantal Akerman are set in Brussels. The Barons is a smart comedy about street life in Molenbeek. Many French and to a lesser extent American movies have also been filmed (partly) in Brussels in recent years. Most of the time the city is doubling for other places though. Erased (The Expatriate) is an exception. 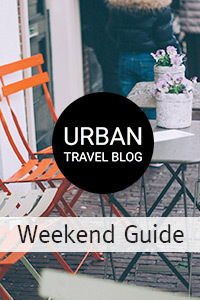 Planning more wild weekends away in Europe (and the rest of the world!)? Then check our long list of fantastic city break destinations, all written by local experts. Laurent Vermeersch is a journalist based in Brussels, covering all kinds of urban issues especially mobility. He is into architecture, music and traveling, preferably by train. Check out his blog thecitygeek.tumblr.com or find him on Twitter @thecitygeek.